I love caramel, but since I found out I had food allergies a few years ago I haven't really been able to have it. I've been dying to learn to make homemade caramel for some time and I decided it was time to finally go for it. I found this recipe and then put my own spin on it, using it as a guide. 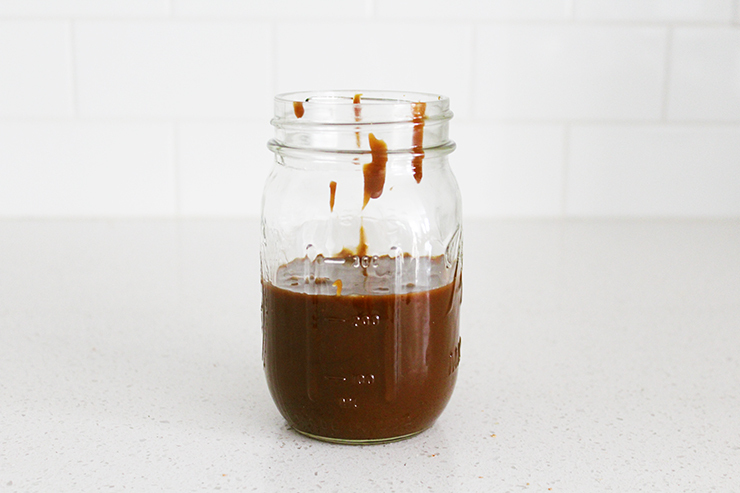 I was quite surprised with how easy caramel is to make. I was really happy with how it came out, but I did overcook the sugar a touch so yours should come out a bit lighter than mine; just watch your sugar closely while it's cooking so you don't make the same mistake. After I made the caramel and let it cool completely I used it to make salted caramel popcorn, which I will be sharing the recipe for next week (spoiler: it's delicious!). 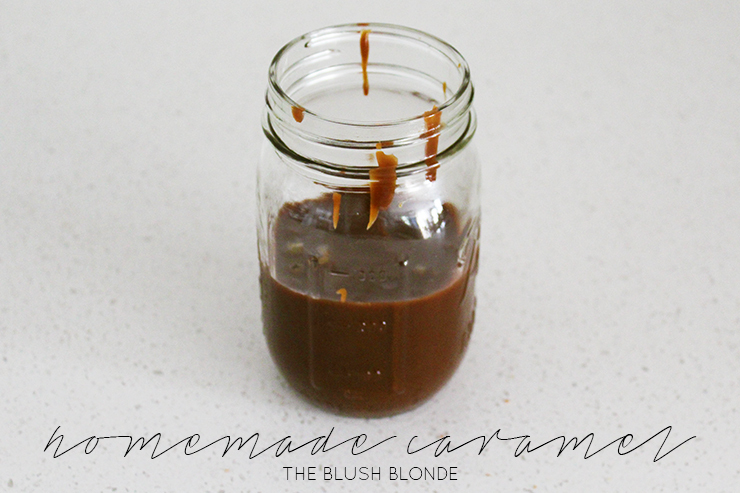 This caramel can also be used for a variety of other projects and I can't wait to find more things to use it with, it's also great if you're looking to avoid the high fructose corn syrup filled store bought caramel (I'm allergic to the high fructose corn syrup). Read below to find out how you can make caramel for yourself and come back next week to learn how to make salted caramel popcorn with it! -Cut the butter into six pieces, one tablespoon each, set aside. 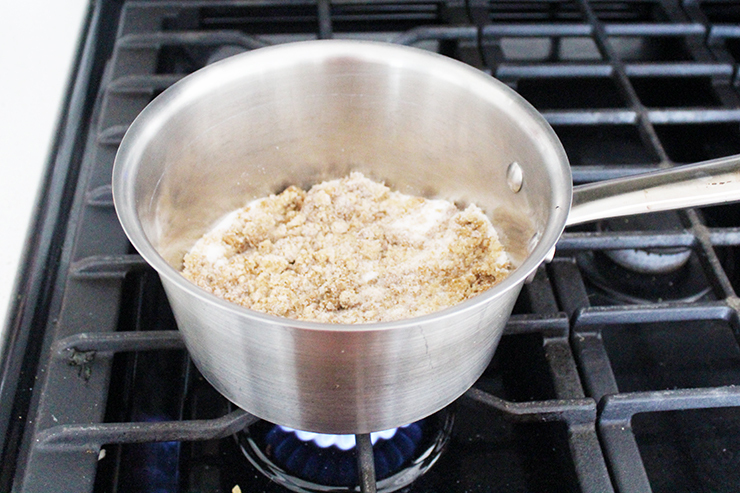 -On medium heat, heat the white and brown sugar in a saucepan. Stir constantly with a wooden spoon. 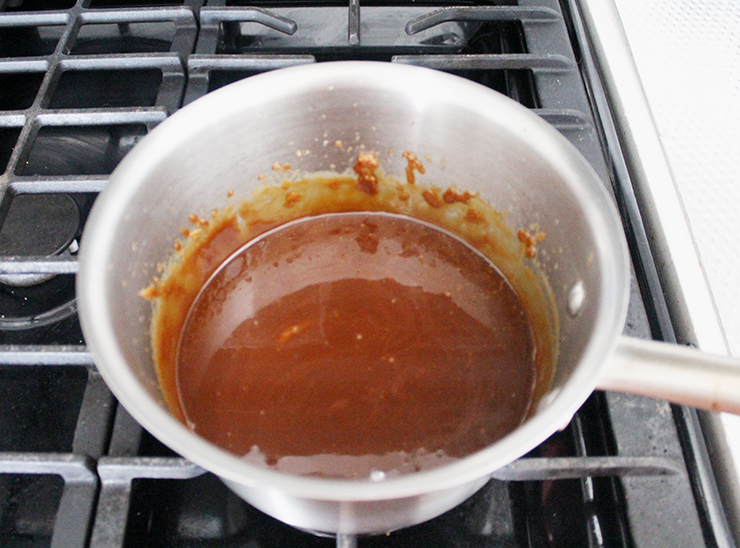 The sugar will get clumpy and become a thick brown liquid, it is important not to overcook or burn it in this step. 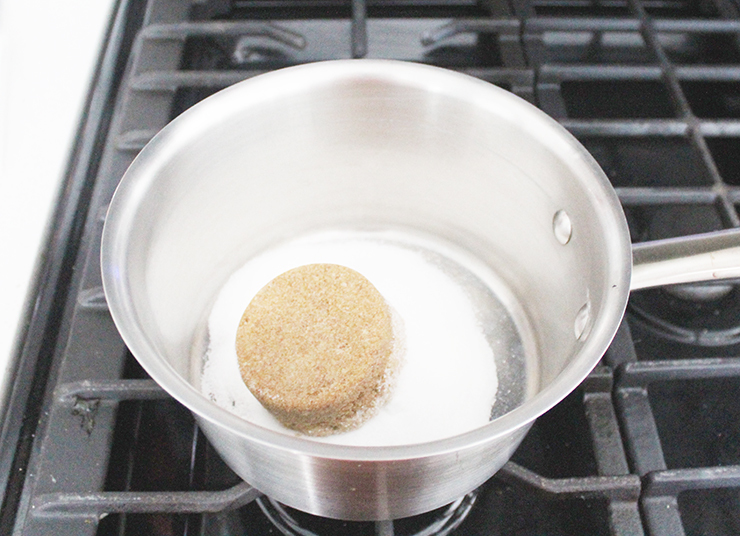 -Once the sugar has completely melted into a liquid add the butter to the saucepan. When the butter is added the liquid sugar will bubble, so be careful not to burn yourself. 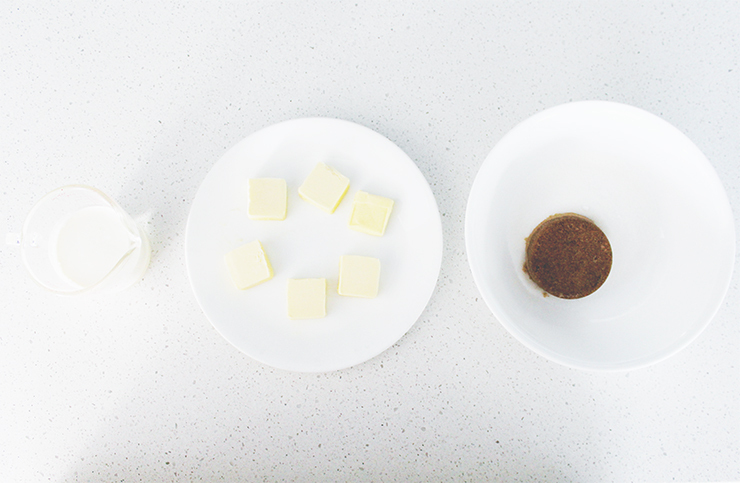 -Stir the butter into the liquid sugar until it is completely melted. -Slowly add the heavy cream by drizzling it into the sugar/butter mixture and stirring until completely incorporated. Again be careful because the mixture can bubble when you add the heavy cream. -Boil the mixture for one minute. -Remove from heat and allow to cool. -Store in an airtight container in the refrigerator. ~Refer to pictures for reference. What's your favorite caramel treat? 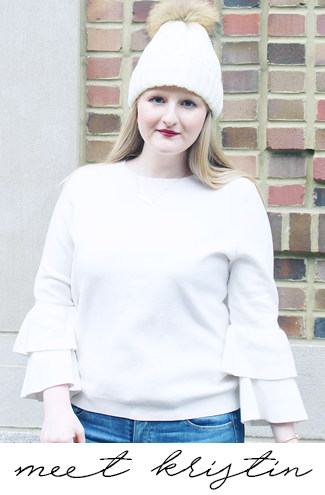 Today I'm linking up with WIWW, Mid Week Muse, and Style Me Weekly. 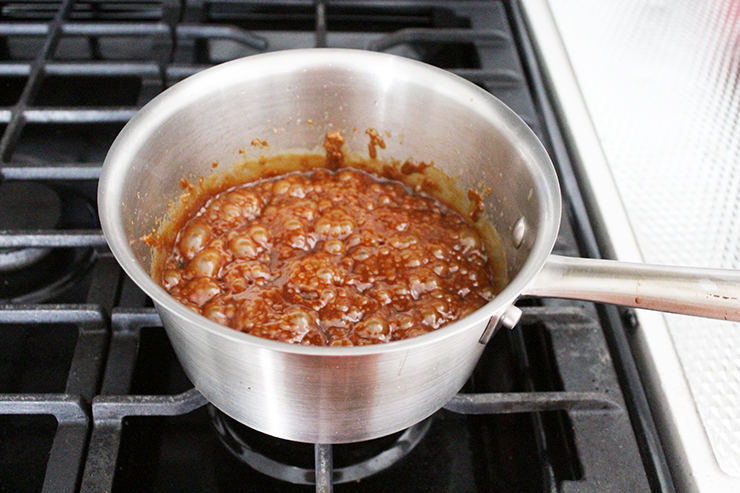 Never knew it was so simple to make caramel. Oh this sounds great. I've melted down sugar before to use as a base for flan but I've never added butter or heavy cream! Caramel popcorn is my one-true love, I swear! Nothing like a lil' sweet n' salty! Yum! I love caramel! Thanks for sharing!